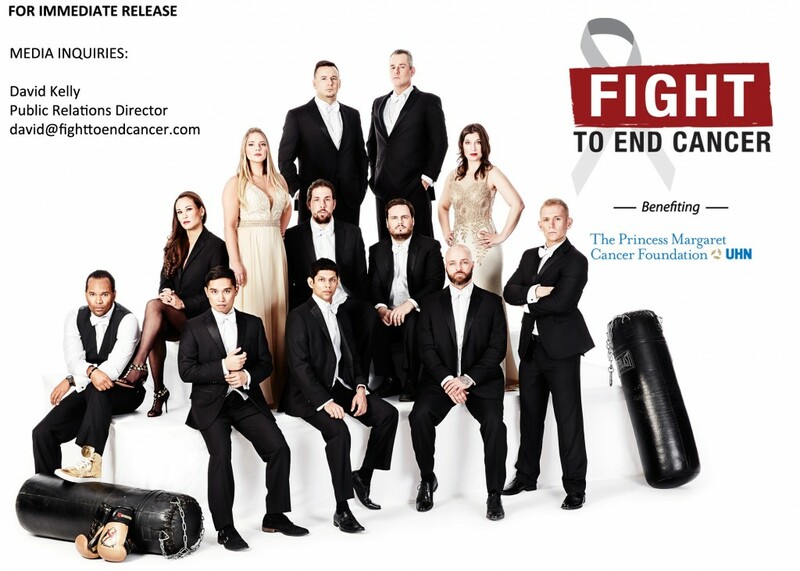 WHAT: The 5th Annual Fight To End Cancer Charity Gala, benefiting the Princess Margaret Cancer Foundation. Our Las Vegas-style, pre-show entertainment will commence after a glamorous cocktail reception and gourmet dinner. This year’s Master of Ceremonies will be celebrity television personality & host of CTV’s ETALK, Ben Mulroney. The evening’s main attraction will be our 2016 fighters, who will be stepping into our boxing ring and literally fight to end cancer. WHY: Ten courageous men and women have managed to raise over $100,000 to date in support of the Princess Margaret Cancer Foundation and have been training in true Olympic-style boxing for the past six months, as they prepare to step into the ring for this important cause. Help them reach their 2016 goal of $200,000.00! Please be sure to download all necessary event materials and register your tickets to ensure entry in case of lost tickets or special dietary needs. Catch the FTEC2016 Fight Team and Crew this Thursday, Jun 2nd from 6:00 am Live!